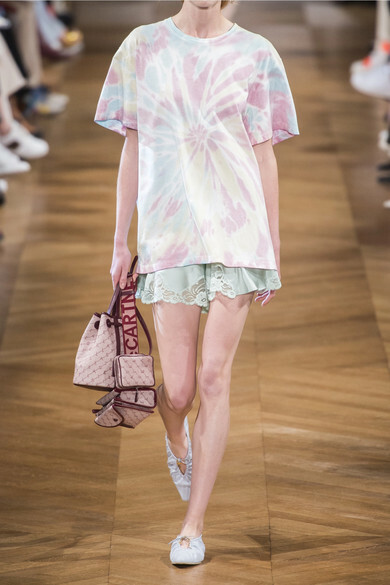 Stella McCartney's Spring '19 collection feels so laid-back and feminine thanks to the pastel color palette and slouchy silhouettes. 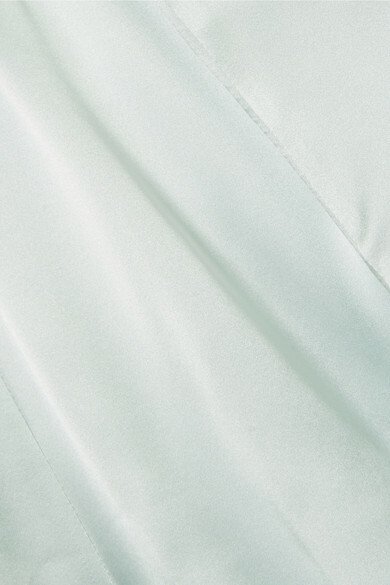 Cut from silk-satin that’s trimmed with delicate lace, these shorts are designed with an elasticated waistband, so they pull on effortlessly. Wear yours with a tonal oversized tee and chunky sandals. Shown here with: Prada Sweater, Marni Shoulder bag, Stella McCartney Point-toe flats, Jennifer Fisher Cuffs, Laura Lombardi Earrings.